Intuitive Interface - Designed to be easy-to-use. No training needed. Great for non-technical staff. Low Cost - $4.95/month or $49.95/year for one calendar. Cost is based solely on the number of calendars you create, not the number of users or data usage. 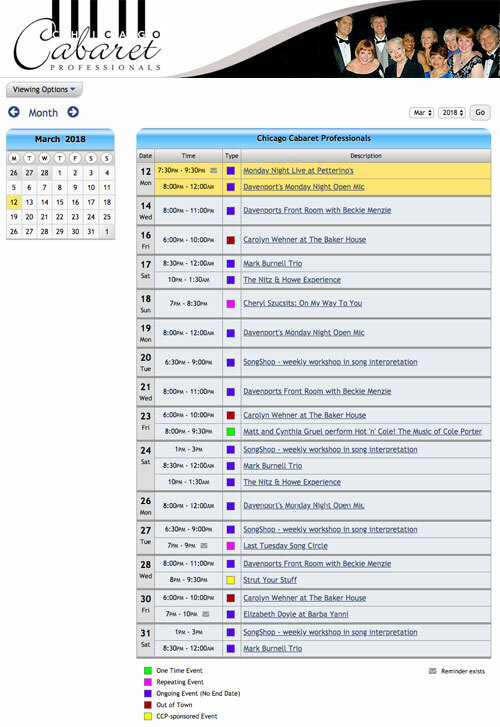 Customization - Color-code events using custom event categories. Create custom header/footer. Use your logo and color scheme. Embed Calendar - Easily generate code to embed a custom calendar view. Advanced Viewing Options - Search events within a date range by keyword and/or by category. Use URL parameters to customize calendar display. Calendar Permissions - Create usernames/passwords for group members and specify who can view, add, change and delete events. iCalendar Subscription Feed - View your calendar from within Google Calendar, Outlook, Apple Calendar. Email Reminders - One or two reminders can be sent per event. Create custom email lists. Thanks for all you do, we are big fans of your service and tell as many potential customers as possible. Keep up the great work (and fair prices). You have given me several years of great and quick service anytime I've needed it and a very convenient calendar setup that has helped my practice go much smoother. One doesn't always find good service these days, so I really appreciate it! I will refer to you when given the opportunity (already have). 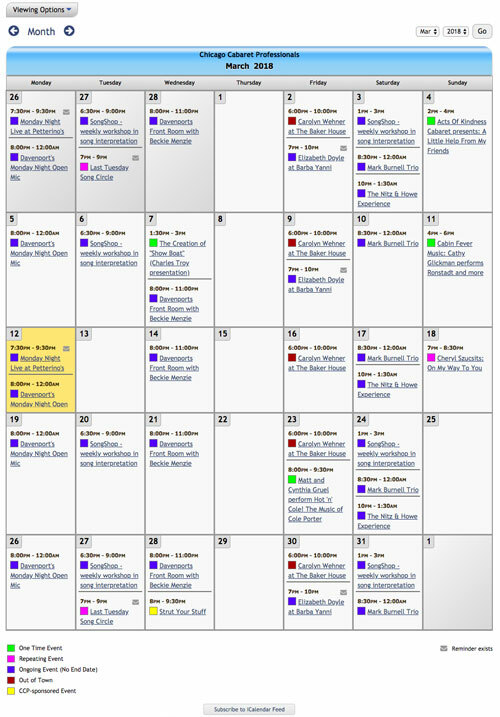 I think your calendar service is much better than any of the others I have seen out there and much less complicated. Since I am not a programmer it was easy to set up and your explanation pages answered most of my questions in an easy to understand way. Thanks for eliminating the techno garble. We've literally been searching for a new web calendar for years. This is the best one I've seen, by far. I'm having a lot of fun with it! Your calendar service is fantastic. I don't know how many I've tried that were hard to use, didn't do what I wanted them to do, or had some other flaw. Yours is perfect in all these respects. As a one man law office with only a part time secretary, your service became indispensable to me the first time I used it. I can actually let my best clients - whichever ones I choose - log on to the calendar and set up appointments wherever I have an opening. We really appreciate both the quality of your online calendars and the level of service you have provided since we started using them. You might also like to know that because we had Sister Helen's calendar online we were able to recover from Hurricane Katrina more quickly when it flooded our offices and homes in New Orleans. Our computer-based info in our offices disappeared, but the online schedule was there waiting for us. Copyright © 2018 Hunt Calendars, All rights reserved.